Traveling as a family is one of the best ways to preserve relationships between members. Through the recreation of traveling, we can accumulate experiences, express emotions, generate ideas and talk about feelings that are important for human development. In this sense, recreation must have an important place in the life of any family. 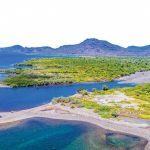 One of the many places of Baja California Sur that is perfect for a family to visit is El Triunfo. Located about 30 miles from La Paz along the Transpeninsular Highway that goes to Los Cabos, El Triunfo has always been a place with a marked personality. The town’s history and contribution to the economic development of the state were unique. 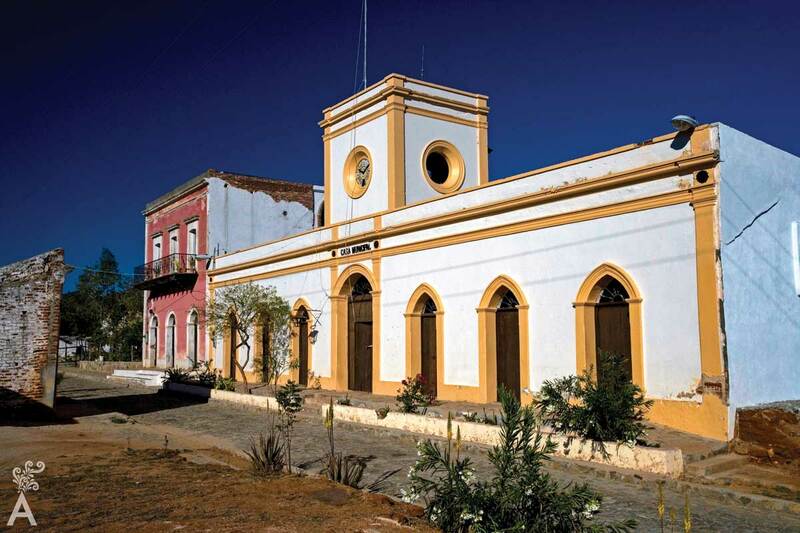 The origin of the town dates back to 1751 with the issuance of a royal document of the Spanish crown and the name of Manuel de Ocio, a Spanish soldier with roots in El Triunfo. After proving it was possible to get rich by finding pearls, he resigned his military post in Loreto. Later, he assembled a navy that allowed him to acquire land and mines. He was perhaps the pioneer of private enterprise in the region. April is a good month to visit it. The Artisanal Festival has earned well-deserved notoriety through artistic presentations and gastronomic samples. The purpose of the festival is to promote the crafts that are developed in the community, such as clay art, basketry, woodcarving, palm weaving, and painting. Toward the end of July, the traditional Pitahaya Fair invites you to enjoy this delicious fruit. 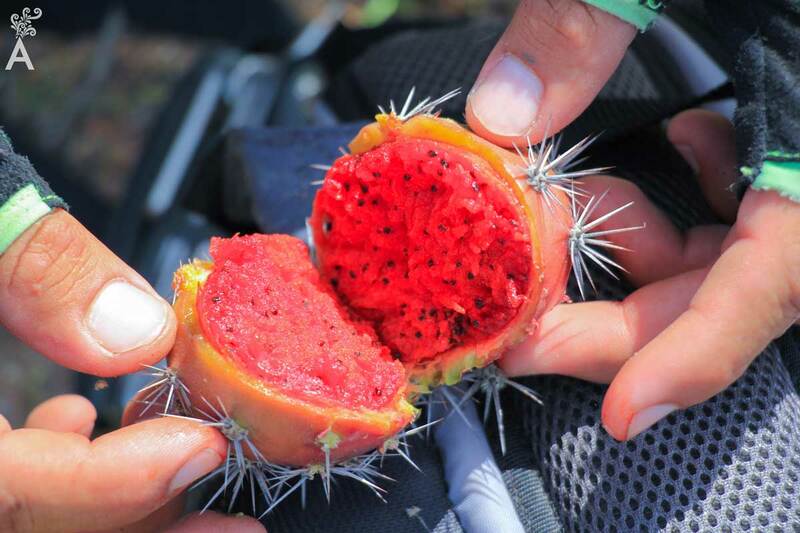 To enjoy the sweetness of the pitahaya, the fruit is put through a laborious process. Even the mere sight of pitahayas is pleasant, considering the contrast between the brown desert, green cactus and the red fruit. On weekends, you can enjoy a quiet walk through the ancient remains that were once one of the most important mining centers in the southern part of the peninsula. The kilns still stand as a remembrance of the splendor of the early years that time has not been able to wash away. 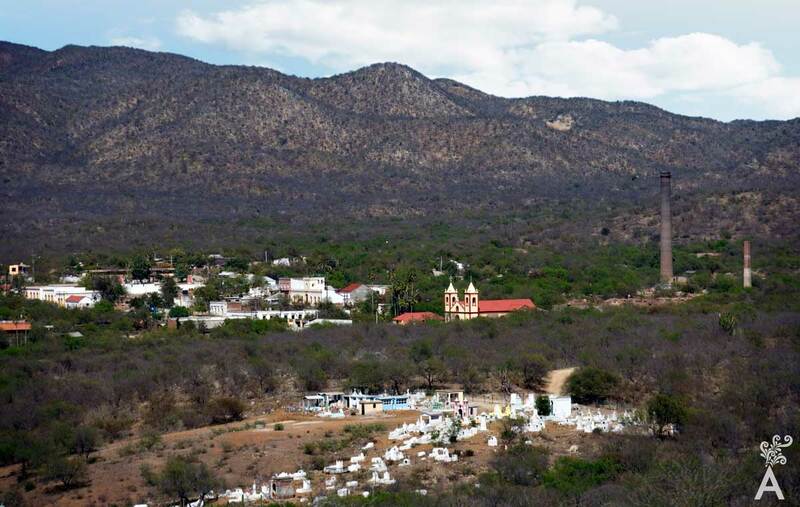 Other interesting places to visit are the two cemeteries (Chinese and English) that make it possible to appreciate the traditions and customs of the communities by learning about the local culture and legends. If you enjoy cycling with the family, the village has an interpretive trail that leads to San Antonio, about 4½ miles away. In addition to getting some exercise during the tour, you can enjoy mountain landscapes, oases, streams and marine views. 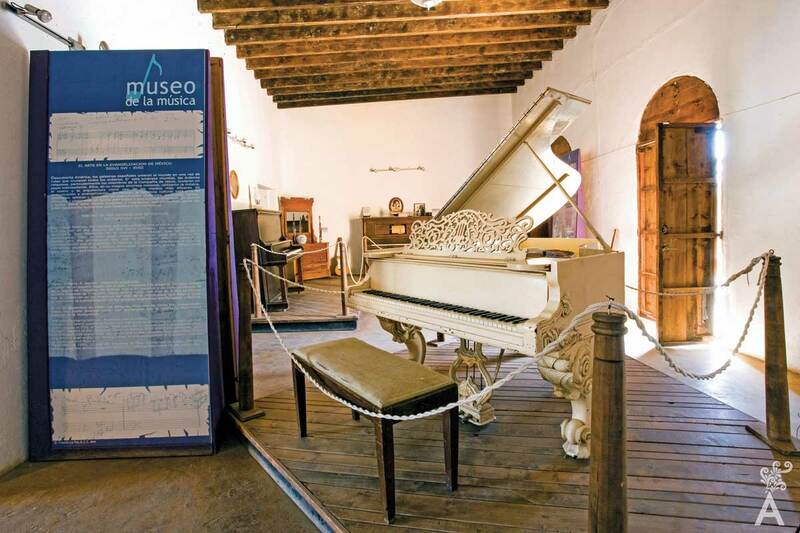 There’s also a music museum, founded in 2003 by the state government and the Sudcalifornian pianist Leonor Isais Verdugo. The venue has an interesting collection of instruments (pianos, mandolins, guitars, etc.) that has been supported over time by the donations of the population. For example, the musical taste of the town was once described this way. Some would say that El Triunfo is almost a ghost town. However, the inhabitants, the children selling baskets of pitahayas or the elderly sitting on the porches that kindly point you to the route you are looking for, indicate otherwise. 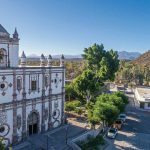 El Triunfo not only continues to be an interesting town to visit, but an excellent pretext to accumulate family experiences and have fun doing it.